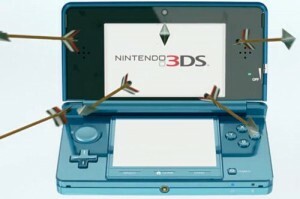 Nintendo today announced that it woudl reveal the launch date of the much anticipated 3DS on September 29th. We had in our earlier posts talked about the Nintendo 3DS – the 3D version of the famous Nintendo DS. Nintendo’s CEO had earlier talked about a March 31st 2011 launch of the 3DS, however with the latest update it seems like it might be sooner than that! Nintendo seems to be hinting that it wants to enter into the 3D gaming market sooner than 2011 considering the giant leap that the market has taken and a increase in the 3D gaming market. Nintendo DS had little or no major redesigns since its launch in 2004 and the 3DS involved a major redesign of the entire console. The new Nintendo 3DS has the DMP’s new Pica200 graphics processor which produces both 3D visuals and more detailed graphics. It also has a much larger 3.5-inch top display, an analog control pad and a gyroscope for tilt-sensitive gameplay. It also has a persistent Wi-Fi connection with better internet connectivity and that supports background downloads. There is no word on pricing yet but its seems like Nintendo will likely try to keep it below the $200 mark to avoid competing closely with Sony’s PSP Go. Next Awesome – New Porsche 918 Spyder to give 78 mpg!